Training and Support: The 3 days training is at our head office in Sydney which covers all technical and marketing you need to know for your business.On going support will have a technical consultant for any on the job help as well as business advice which is only a phone call away. Addition Setup Costs: The franchisee will need to supply their own van and have sign writing put on it. Chem-Dry Carpet Cleaning has more than 3,500 franchise partners worldwide. Using the company’s patented products and over 35 years of experience, our franchise partners are able to build successful businesses by making their customers’ homes and workplaces cleaner and healthier. Chem-Dry began in Australia in 1986, as a healthy and green alternative to traditional carpet cleaning companies, and today we clean more carpet and surfaces than any other company. Our franchise partners are committed to providing their customers with the cleanest and healthiest homes, and take great pride in giving them the peace of mind that comes from knowing their homes are clean and safe. 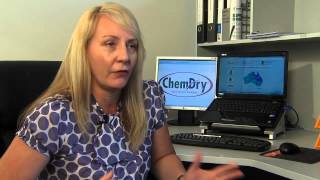 Why join the Chem-Dry Team? Chem-Dry Australia currently has new franchise opportunities available nationally in both Metropolitan Areas and Regional Centres.